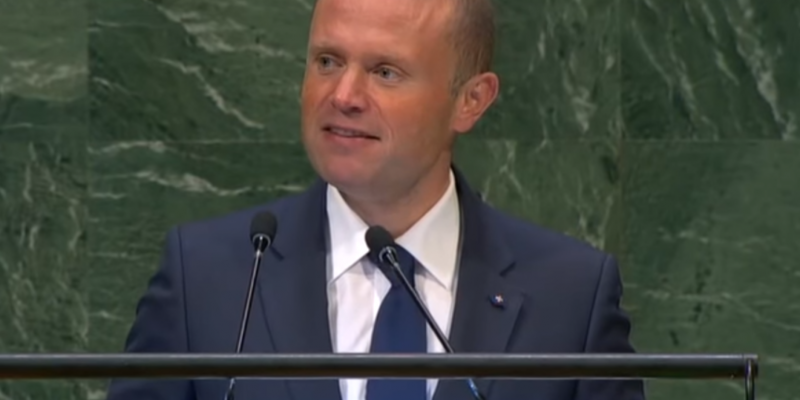 Malta’s prime minister, Joseph Muscat, has used his platform at the U.N. to speak out on the potential of blockchain and cryptocurrency, calling them an “inevitable” part of a digital future. As reported by CoinDesk, Malta’s parliament passed three bills regarding cryptocurrencies, blockchain and distributed ledger technology (DLT) back in June. Since then a number of cryptocurrency-focused firms including the Binance exchange have moved to set up business entities on the island, with some agreeing partnerships with Malta’s stock exchange. Not only that, the PM concluded, distributed ledger technology also has the potential to give patients “real ownership” of their medical records, it can “verify that humanitarian assistance is reaching it’s intended destination,” and it helps bring more accountability to corporations and governments. While the country has taken the lead to regulate blockchain and cryptocurrency, other jurisdictions are also moving towards setting up frameworks governing firms using the tech, but aimed not to stifle business or innovation. Bermuda, for example, is also hoping to draw more companies to the island by providing regulatory certainty with new legislation that would allow initial coin offerings under certain conditions. It has also set up a task force to foster cryptocurrency commerce. There have also been moves within the EU to develop new rules for cryptos, with one lawmaker also proposing standards for ICOs that would allow token sale projects to operate across the economic zone.